Midtown's 38th Annual Noel Night is this Sat, December 4th! The 38th Annual Noel Night will take place on Saturday, December 4th from 5:00 p.m. to 9:30 p.m. in Midtown Detroit’s Cultural Center Area. Over 60 institutions, including the Detroit Institute of Arts, the Detroit Science Center, the Charles H. Wright Museum of African American History, the Detroit Historical Museum, the Detroit Public Library, amongst many others, open their doors to the public free of charge during this Cultural Center-wide holiday "open house." Activities include horse-drawn carriage rides, holiday shopping, family craft activities and performances by over 120 area music, theatre, and dance groups. The evening’s festivities culminate with a community sing-along on Woodward Avenue led by the Salvation Army Band — a long-standing Noel Night tradition. Noel Night activities take place in and around Midtown Detroit’s Cultural Center institutions, primarily between Cass and John R and Kirby and Willis. Free shuttle service is offered between participating venues. Convenient parking is available in area lots. 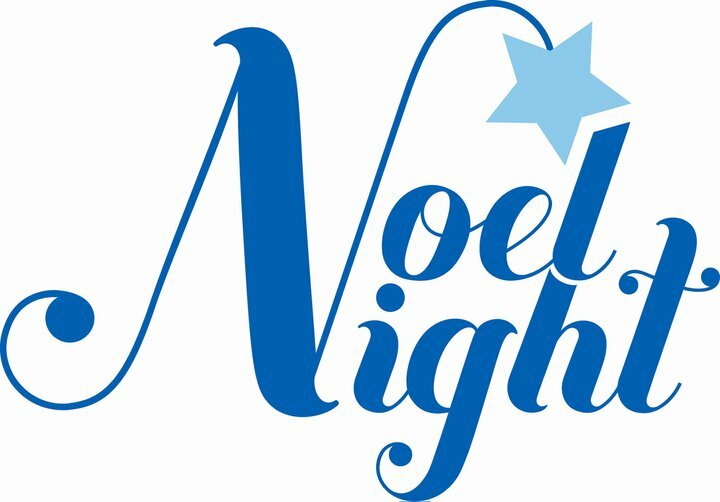 Noel Night is produced by the University Cultural Center Association, a nonprofit community development organization that supports economic growth in Detroit's Midtown district. 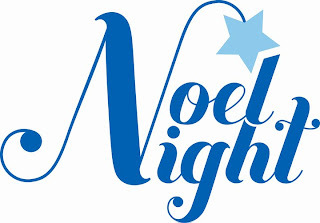 Call 313.577.5088 or visit www.detroitmidtown.com/05/noelnight for additional information. Originally raised in Detroit, Christopher McLallen has gone onto travel the globe, photographing the human condition; from distillery workers in Guatemala to the First Lady of France – Carla Bruni. His work has appeared in Vanity Fair, T: The New York Times Style Magazine, E! Television Networks and in shows at Sotheby’s and Phillips de Pury. 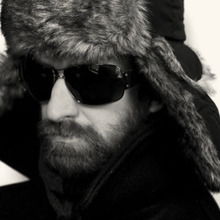 In 2006 he was named one of the Ten Best Young Photographers by American Photo magazine. Christopher is based in New York City. A three-year Gallup study of Detroit and 25 other U.S. cities has found that peoples’ love and passion for their community may be a leading indicator for local economic growth. Surprisingly, social offerings, openness and beauty are far more important to Detroit residents than their perceptions of the economy, jobs or basic services in creating a lasting emotional bond between people and their community. 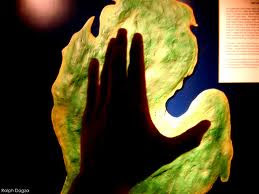 • The things that create the greatest emotional connection between people and a community – social offerings, openness and aesthetics – have remained stable for three years and are consistent among the 26 cities studied. These three things reliably had the strongest connection of the 10 community qualities that attach residents to place, which also included: civic involvement, social capital, education, perception of the local economy, leadership, safety, emotional well-being and basic services. • The link between local GDP and residents’ emotional bonds to a place has remained steady despite declines in the economy over the three years of the study. Communities with higher percentage of attached residents also show higher levels of economic growth. • Job seeking college graduates are perceived to be one of the least welcome groups across the 26 communities. • Perception of the local economy is not a leading reason residents create an emotional bond to a place. For information or to share comments about the Detroit community results, contact Trabian Shorters, Knight Foundation’s vice president for communities program at shorters@knightfoundation.org. This post was written by Adam Babcock, my partner with NxtGen Marketing. Although Adam grew up in Michigan, he has been living out on the West Coast for the past few years, until his recent move to Chicago. I recently decided to move back to the Midwest, from Los Angeles to Chicago. While apartment hunting in Chicago, I figured I would just stay with my parents back in Michigan. I thought, at the most I will be home for a couple weeks, and it would give me a chance to spend some quality time with my family (who all still live in Michigan), which is one of the main reasons I wanted to move back to the Midwest. My plan didn’t quite work out as I had hoped. It took me much longer to find an apartment than I originally thought it would. However, I am glad it did, because during my time back home, something truly great happened. Something completely unexpected, yet much appreciated. I fell in love with Michigan…again! I absolutely loved growing up in Michigan. And I wouldn’t trade my 4 years at Michigan State University for anything. But after I graduated, I can honestly say Michigan wasn’t exactly my favorite place. More and more of my friends were moving away. I was stuck in a job I didn’t like or want. There were very few opportunities in Michigan to do what I actually wanted to do, and the years and years of cold, grey winters had finally taken its toll on me. So I left and didn’t look back. It didn’t take long for that mindset to change. The very first weekend I was home, there was Arts, Beats and Eats in Royal Oak, the Detroit Jazz Festival, and Eminem and Jay-Z, two of the biggest names in hip hop, were putting on show at Comerica Park. We played host to a number of high profile events, such as TEDxDetroit and 140 Conference Detroit. I saw Transformers 3 being filmed in Detroit, and heard countless stories from friends and family of all the stars they have been seeing around town. And as great as these things were, it was the little things that really helped me fall back in love Michigan. Taking my dog on walks through all the beautiful neighborhoods. Seeing the sense of community among the residents. Even the fall foliage! These are things you don’t necessarily get outside of Michigan. And quite frankly, I didn’t realize how much I missed them until I came back. 1.) Why did you leave Michigan? 2.) Would you move back? I do not regret my decision to move. I learned a lot over the past 3 years and they have helped me grow to be the person I am today. But my answers to these questions have certainly changed. 3 years ago, I would have told you, I left because I wanted to live somewhere I could have fun in the sun, and that I probably don’t see myself ever going back. While the answer to the first question might be the same, my answer to the second question is dramatically different. Would I ever move back to Michigan? I not only hope to, but I plan on it! My question to you is, have you taken another look at Michigan lately? The Salvation Army of Metro Detroit and Channel 955 are issuing a million dollar challenge to the Clear Channel radio station’s listeners to help the nonprofit raise much needed funds for its annual Red Kettle Campaign this holiday season. Beginning on Monday, Nov. 1 and running through Friday, Nov. 12 all Channel 955 on-air personalities will be asking the station’s estimated one million unique listeners to give at least $1 to Channel 955’s online Red Kettle at www.channel955.com. “We have a Red Kettle campaign goal of $7.8 million this year. With the Michigan’s unemployment rate at 13 percent, and the poverty rate at approximately 14 percent, the need has never been greater – and we need the community’s help now more than ever before,” said Major John Turner, general secretary for The Salvation Army of Metro Detroit. All donations raised during Channel 955’s Million Dollar Challenge will go directly into The Salvation Army of Metro Detroit’s iconic red kettle to help provide a solid foundation for the nonprofit’s 119th annual Red Kettle campaign which runs from Nov. 12, 2010 through Jan. 31, 2011. "All seven Clear Channel Detroit radio stations share an ongoing and dedicated commitment to serving our community and The Salvation Army,” said Til Levesque, president/market manager of Clear Channel Detroit. “Channel 955/WKQI is honored to be supporting The Salvation Army's 2010 red kettle campaign and its mission to bring needed relief to the members of our community who need help." Red Kettle donations are used throughout the year to help provide vital services such as food, shelter, utility assistance, free legal aid, after school programs, counseling, drug and alcohol rehabilitation, disaster aid and so much more. The Downtown Detroit Partnership (DDP) today announced the launch of a new photo contest for metro Detroit amateur photographers that invites them to find and showcase hidden gems and unique destinations of Downtown Detroit. The contest will run now through Friday, November 12, 2010. During that time, entrants may submit photos to digdowntown.com or the Dig Downtown Facebook page. The public will vote on the best photo from each of the five districts (Downtown, Midtown, Corktown, Eastern Market and New Center). The winning photograph from each district will be featured on digdowntown.com and the photographer will receive a $100 gift certificate. One grand prize winner will receive a $250 gift certificate in addition to having their photography featured on digdowntown.com and Dig Downtown promotional materials. 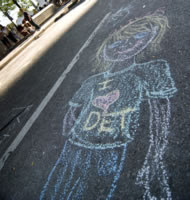 The contest is part of an overall campaign to raise awareness of the depth and quality of events and activities taking place in Downtown Detroit every day. Dig Downtown gives definition to greater Downtown Detroit, and for the first time gives a cohesive identity to its five districts (Downtown, Midtown, Corktown, Eastern Market and New Center) – all while showcasing the unique assets and characteristics of the individual districts. Dig Downtown’s website, www.digdowntown.com provides unique itineraries with insider tips for families, groups and individuals of all ages. The brochure lists a broad sampling of all of the food, fun and events taking place, as well as maps to help people get around in each district. The Downtown Detroit Partnership (DDP) is a private/public partnership of corporate and civic leaders. DDP engages business, government, and civic leaders in developing initiatives to strengthen Downtown Detroit’s employment, entertainment and residential assets, as well as advancing diversity, vitality and economic health for Southeast Michigan’s urban core. For more information, visit www.DowntownDetroit.org.